Shorewood evened their Wesco South league record to 1-1 after a loss to Lynnwood on Thursday. The T-Birds overall record is 3-4. Sophomores Sasha Gaeth and Bretta Petersen led a sweep in singles for the victory. 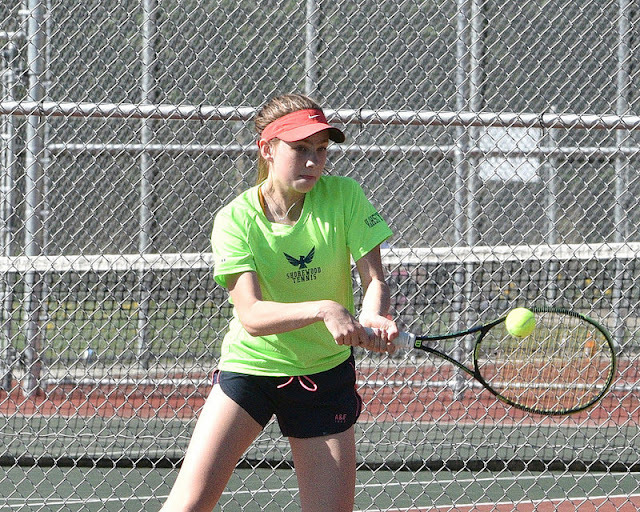 Senior Meredith Rand and freshman Maddie Bong also won in singles for the T-Birds. Gaeth won her seventh straight set match without dropping a set. Anna Soper and Summer Cornell, Michelle Yang and Tess Galley also won in doubles. Shorewood will meet up with league and Shoreline rival Shorecrest at Kellogg middle school courts Wednesday April 5th with matches starting at 3:30pm.